Garage door company Christie Overhead Door was recently featured in an industry magazine by International Door & Operator™. 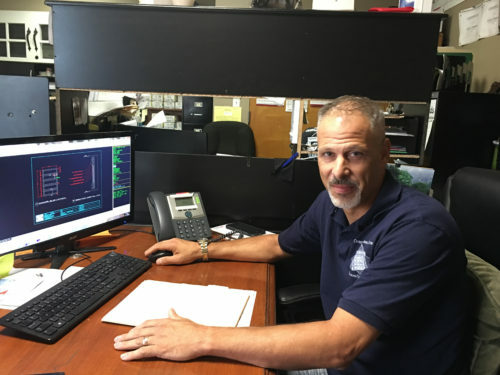 The article by Todd Thomas, IDA Managing director told a story of how a local garage door company in Brooklyn emerged as a top garage door company serving Staten Island, New York City and Long Island. Christie Overhead Door has been working with homeowners and commercial businesses to supply quality, garage doors since 1945. It hasn’t been an easy journey but it’s a love story that spans decades. 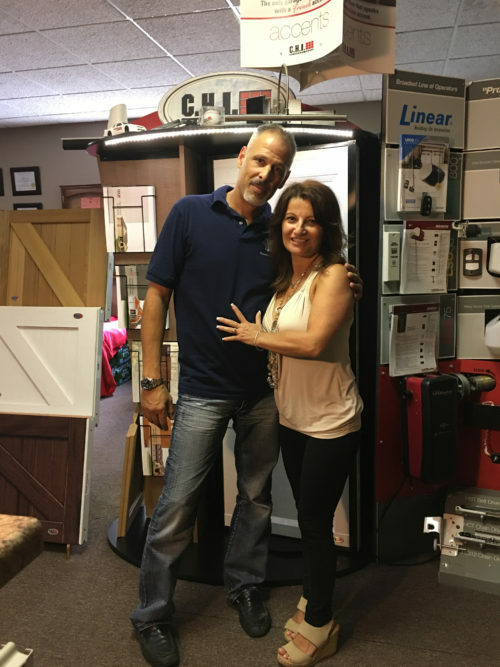 Owners of Christie Overhead Door, Andrew and Carla Cimmino, started out as high school sweethearts. Now they are husband and wife and longtime business owners. Andrew and Carla’s relationship has stood the test of time. They are a remarkable couple that continues to work together in good times and bad. The couple has managed to weather a recession, a facility transition and a restructuring of their garage door company to become a success. Andrew and Carla are true partners in life and they possess strengths that balance each other out. Andrew relies on Carla to collect and pay bills without compromising valuable customer relationships. Carla also manages internal staff and procedures to keep things running smooth. “She frees me up to go out and do what I do best,” Andrew says. Andrew has been working at Christie Overhead Door since the age of 23. 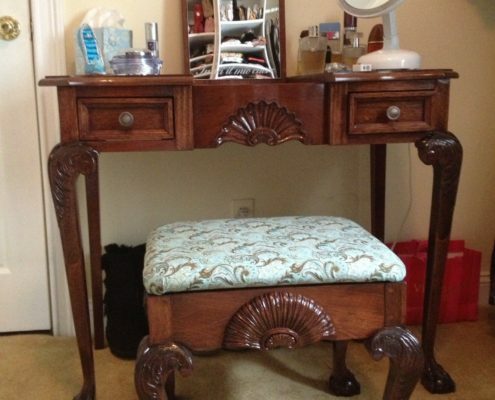 He is a natural when it comes to designing and carving woodwork. Andrew started out as an installer and garage door technician. He climbed the company ladder overtime by working hard. Andrew and Carla purchased Christie Overhead Door from the Christie family in April of 1993. They acquired Diamond Door Systems, a garage door company competitor in 1998. Andrew and Carla attend garage door industry expos and they are active in local industry groups to stay current with the latest garage door innovations. Christie Overhead Door is the only accredited garage door dealer in New York City. The company takes training and certifications very seriously. The credentials Christie Overhead Door has achieved is evident in the company’s superior technical abilities and exceptional customer service. Professionalism and the ability to create a customer’s vision is at the core of everything Christie Overhead Door does. This is one Staten Island garage door company with incredible heart. Christie Overhead Door attributes their success to close friends, advisors and dedicated employees. “We have a lot to be grateful for today and this holiday season.” Andrew says. Christie Overhead Door wishes everyone a happy, healthy holiday season filled with many blessings! Read the full Christie Overhead Door story here.